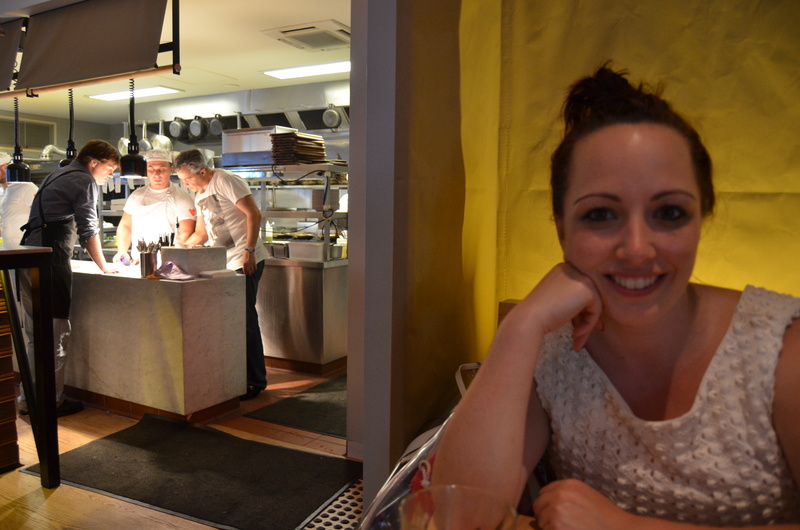 Couldn't think of a perfect way to spend a hot humid Melbourne night than dinner and great conversation with a girlfriend. Headed off to the newest restaurant by the people responsible for the wildly successful Chin Chin- a little Italian gem called Baby. Baby has found its home in the space once occupied by Pearl on Church St Richmond. The alfresco area is filled with trees in lovely planter boxes and red metal chairs and tables with the signature Vespa parked out the front. Would be a lovely place to sit on a mild summer night, but tonight we head inside to the cool air-conditioning, past that famous neon sign. You cannot book and I thought we might have to wait for a table, but luckily we were seated promptly, admittedly this was early at 6pm. By 7:30pm the restaurant was pretty full. From our corner table, we could observe the busy open kitchen and watch the pizzas, salads and small snacks receive final flourishes before leaving the pass. The drinks menu is quite diverse, offering a good selection of reasonably priced cocktails at $15 each or two varieties offered in a large carafe for $30. 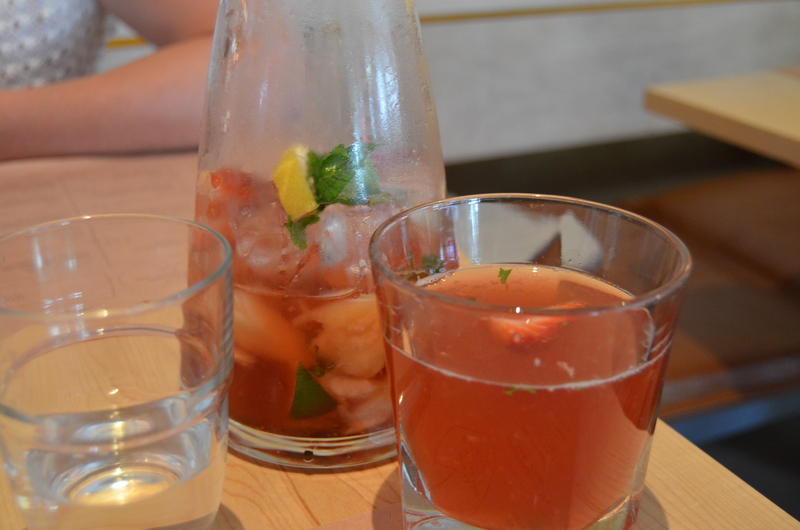 We settled on the Capri carafe, which was a lovely refreshing blend of Campari, pomegranate, Prosecco, strawberries and mint. Delicious! The wine list showcases Italian labels with some offerings from local producers and for beer Peroni is a popular choice. The restaurant itself is quite light and bright, with wooden tables and pale blue wooden cafe style chairs. The noise level from other tables is low and music kept at an ambient level, so we are able to have a conversation without shouting at each other. Menus double as placemats, with the back page dedicated solely to their pizzas. The pizzas feature artisan toppings and the base is made with Caputo Molino 00 flour from Naples. The front page features cured meats and cheeses, small sharing plates, larger pastas, salads and dessert. The emphasis is on sharing and something my dining companion and I embrace. Service is efficient and friendly, though I must say our waitress perhaps lacked some knowledge when quizzed on a few curly ingredients. No biggie I guess. 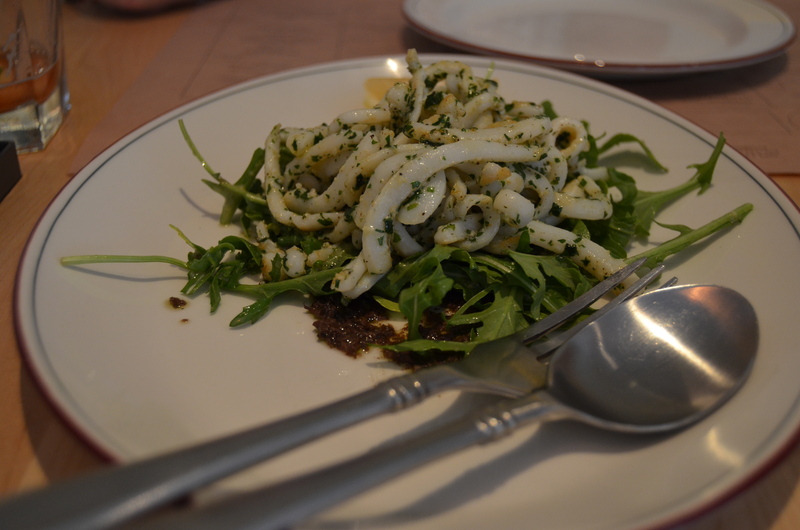 We decided to start with the calamari, which was warmed through a pesto sauce and served on a bed of rocket. Good quality calamari which was quite tasty. We followed this with fried mozzarella, olives and a vegetable ratatouille of sorts. Delicious, warm, cheesy goodness! 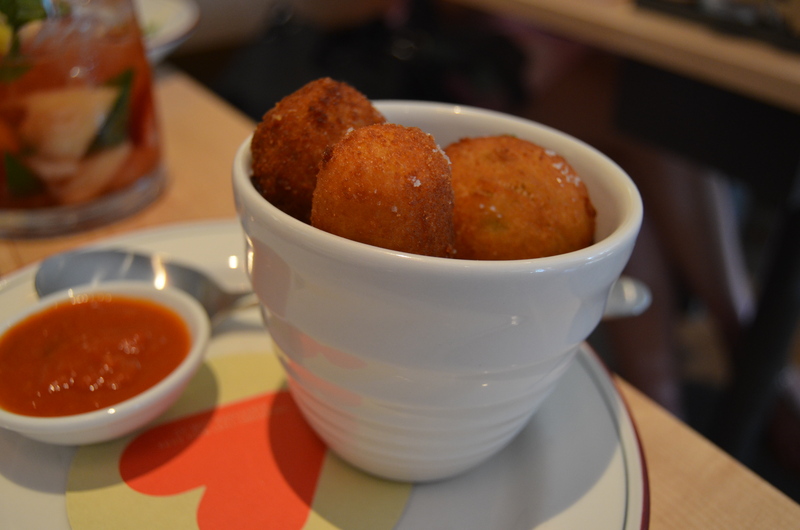 Our final small taste for the evening was a mixture of arancini and polenta croquettes. We were off to a good start. There are so many pizzas to choose from that it did take a little while to narrow down the options. We settled on two choices and asked our waitress what she recommended. Apparently the chef always orders the Funghi, so with that we ordered ourselves a mushroom pizza to share. The pizza arrived and the base was thin with a tasty crust. The mushrooms and cheese were a match made in heaven. This was a very tasty pizza! 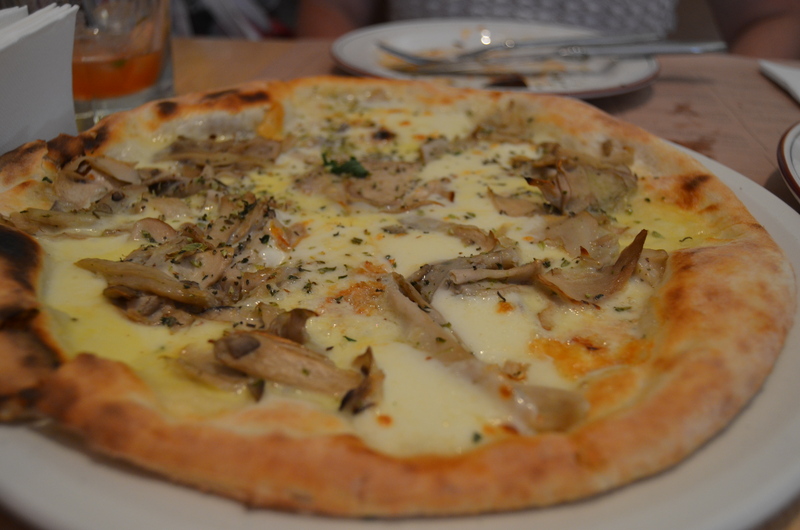 One of the best mushroom pizzas I have had in a while with plenty of flavour. 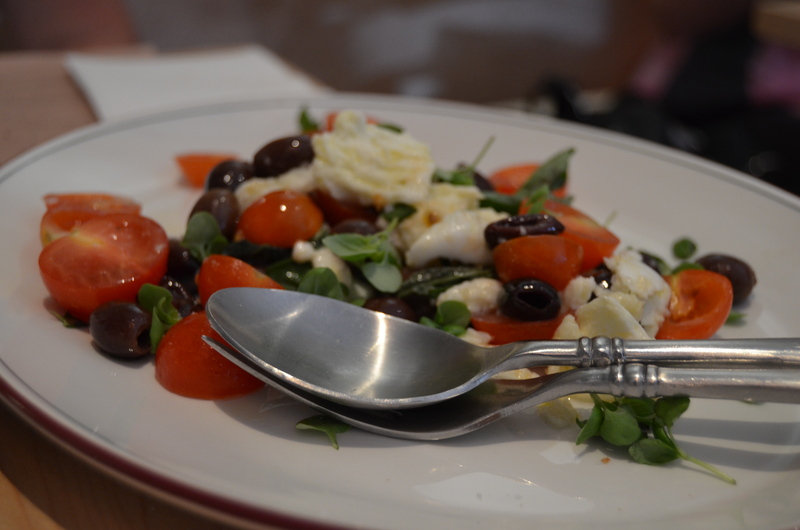 To offset the rich cheese we decided on a refreshing caprese salad of cherry tomatoes, olives, buffalo mozzarella and little tendrils of watercress. Almost at capacity, we had just enough room to fit in dessert. Being a sweet tooth, they had a lot on offer that appealed. 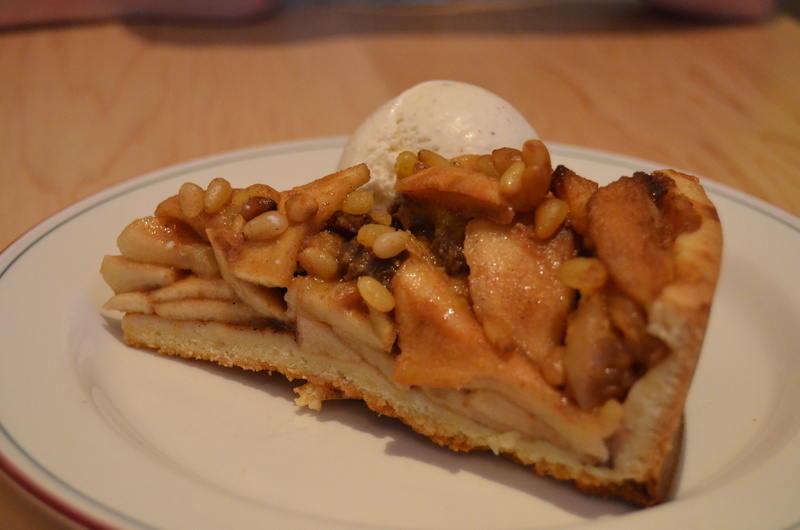 My friend chose the apple pie, which arrived slightly warm with a pleasant short crust pastry base and an abundance of chunky apples and sultanas spiced evenly with cinnamon. This was served with vanilla ice cream. I settled on the creme caramel which was the best I have eaten in a long time, if not ever! Big call I know...but it was so good. 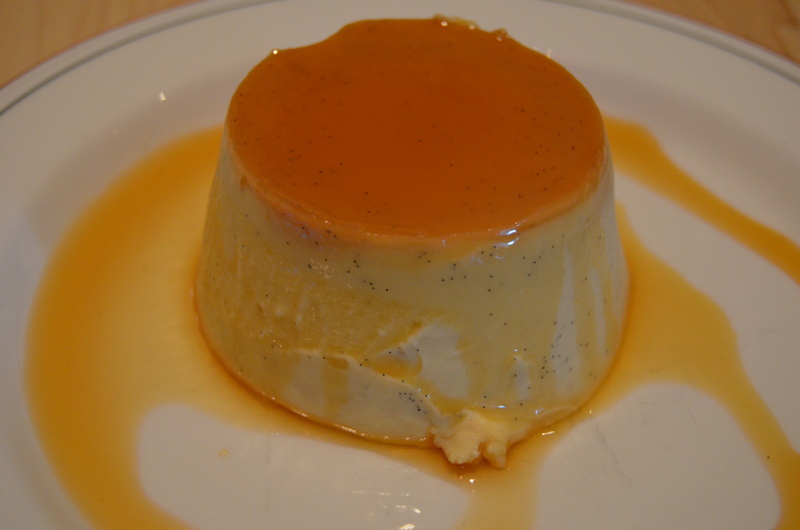 The creamiest custard speckled with vanilla bean seeds and drizzled with caramel sauce. Heaven! It was very rich though and I struggled to finish it all. Overall my first visit to Baby was a pleasant experience and I will definitely be back, there are still at least another twenty pizzas to try! The prices are reasonable too, our bill for ample food and cocktails came to just $70 each. Baby also offers a take away menu.